This post belongs to a series written by students in the Conservation Biology course BSC4052 at the University of South Florida. This course provides an overview of major themes in conservation practice and related applied problems in biology, including: population ecology in the context of conservation, patterns of diversity, valuing diversity, threats to diversity, management actions and strategies for preserving diversity. Author: Nicole Wright is a third-year student at the University of South Florida majoring in Environmental Biology. In the future, she hopes to attend graduate school to become a genetic counselor. When she is not studying at her local tea shop, you can find her planning her next travel adventure or bingeing Game of Thrones. The earth is currently suffering the highest rate of animal extinction since the loss of the dinosaurs 65 million years ago (McCallum 2015). Many scientists believe that species are disappearing faster than we can even discover them. Captive breeding, which entails breeding animals in places like zoos and releasing them to supplement wild populations, is one method that conservationists use to attempt to combat this frightening reality. Makes sense, right? We can breed endangered animals where they are safe so their numbers increase. However, an important new study conducted by Jenna Willoughby and Mark Christie of Purdue University suggests that we may be worsening the very problem we are trying to prevent. What is the issue with captive breeding? Animals adapt to their captive environment as they are bred outside of their natural habitat generation after generation. This means that the genetic makeup of the population shifts over time to increase their fitness in captivity. Fitness is a measure of how well an individual is suited to its environment. Unfortunately, some traits that are advantageous in one environment may be harmful or simply not needed in another. The same individuals that thrive in captivity tend to lack the traits necessary to flourish in the wild. As a result, Willoughby and Christie assert that captive breeding can potentially reduce species’ overall fitness and reduce their numbers in the wild over time. The research team created a complex mathematical model to simulate the effects that captive-bred individuals might have on wild populations. One simulation mimicked the progress of a population composed only of wild animals. The other displayed how the same population would be affected if animals born in captivity were added to the wild population. The simulation showed that populations composed only of wild animals progressed normally. On the other hand, the simulations with supplementation consistently resulted in a rapid decrease in fitness, usually within 5 years. These populations showed other negative effects, like a decrease in population size. Supplemented populations rarely returned to their initial numbers once the captive-born were introduced. As if this weren’t concerning enough, the study found that as little as a 2.5% yearly-reduction in fitness due to a genetic adaptation to captivity caused a long-term population decrease of up to 20%. 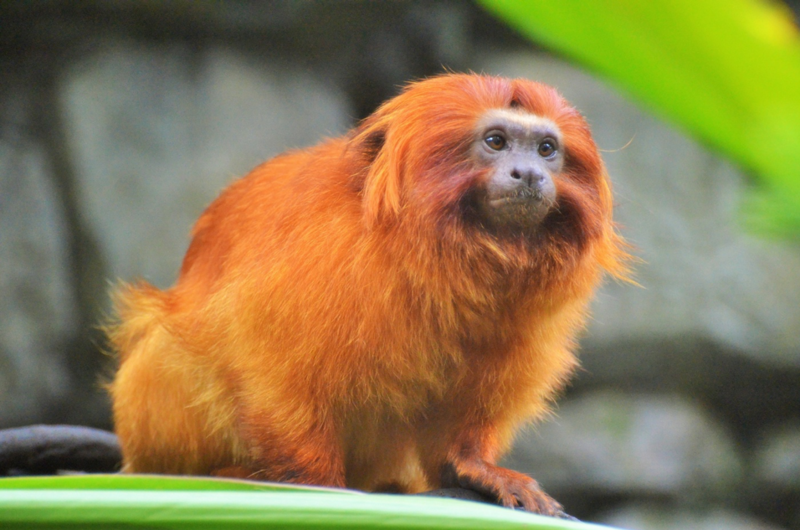 Species with shorter lifespans (the golden lion tamarin and Coho salmon) had larger reductions in population size and genetic diversity relative to the species that lived longer. This is because they mature and reproduce earlier, so they have more generations in a given time frame. It is important to note that species in need of a captive breeding program typically have small population sizes. Another study found that these small populations are at an even greater risk of becoming adapted to captivity, so much so that they may lose some traits altogether that are beneficial in the wild (Lynch and O’Hely 2001). So, should we abandon captive breeding? Willoughby and Christie say “no… but be careful.” They recognize that supplementation programs are sometimes necessary in order to save endangered species and can even increase genetic diversity in populations when done correctly. This study’s results led the research team to implore current captive-breeding programs to amend standard practices and adopt a more long-term view. Conservationists should first carefully consider whether there are options available that help increase population size without adding captive-born individuals If not, they should calculate the minimum number of captive-born individuals needed to reach conservation goals as the study showed that lessening the number and frequency of supplementation events minimized negative demographic and genetic effects. In addition, it is very important that captive environments mimic wild ones as closely as possible in order to limit genetic adaptation to captivity occurring in the first place. The information uncovered by Willoughby and Christie provides opportunity for current captive breeding programs to improve tremendously and may help to ensure a future for species that we may otherwise have had to say goodbye to forever. How much does pollution increase as cities grow?